Hello and welcome to Davis Family Child Care Infant and Early Learning Center! 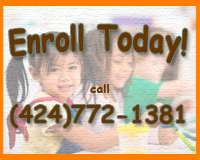 We are a full service extended hour child care center with a strong pre-school curriculum. Come join our fun family! Fill in the contact form and we will contact you to set up your tour. Have any questions? Click the button below to speak with a live representative.